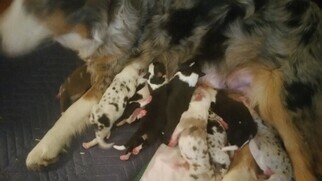 Puppy #1 - "Puppy #1"
Overview: The Australian Shepherd is intelligent and very loyal to his owner. 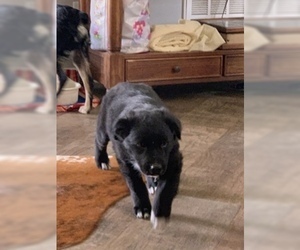 He's a working dog, though, so he does best when his owner gives him a job to do ' such as herding livestock. Coat: Hair ranges from medium to long with a dense undercoat. 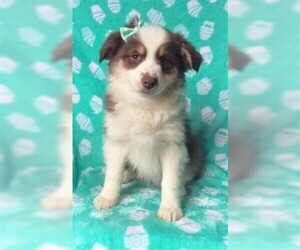 Character: The Australian shepherd has a great deal of stamina and is loving, bold, alert, confident, independent, smart and responsive. Australian Shepherds are intelligent and eager to learn. They're loyal and bond very closely with the family. Temperament: This breed is generally good with children and other household pets. 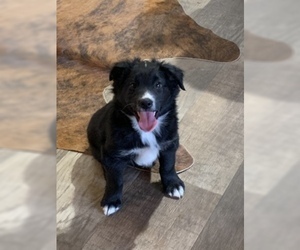 They can be shy around strangers, however.The Australian shepherd has a great deal of stamina and is loving, bold, alert, confident, independent, smart and responsive. Care: The Australian Shepherd requires very little grooming, although a good combing is called for during times of shedding. 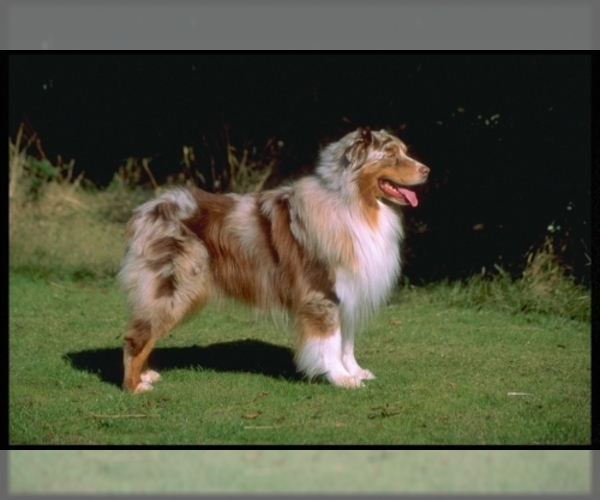 Activity: The Australian Shepherd needs to stay busy and needs a lot of exercise. He's especially suited for people who are into outdoor activities. If it doesn't get a chance to exercise and challenge its strongly developed mental and physical activities, it is apt to become frustrated and difficult to live with. 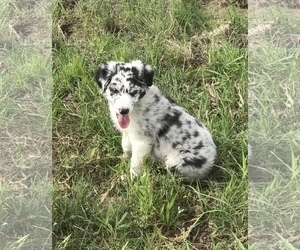 Health Issue: This breed has a gene for merle coloration that may also carry a blind or deaf factor. 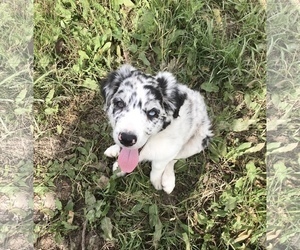 The major concerns are cataracts, collie eye anomaly, and many other minor problems. 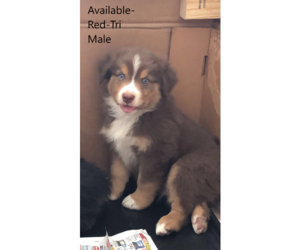 Pure bred ASCA Registered Aussie pups. 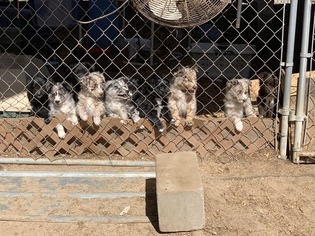 Ready for their furever home March 18, 2019. Excellent working, family, sporting dogs. Well socialized. Come from working stock.